If you subscribe to Apple Music, you might be able to play your playlists on more than just the HomePod come Christmas time. 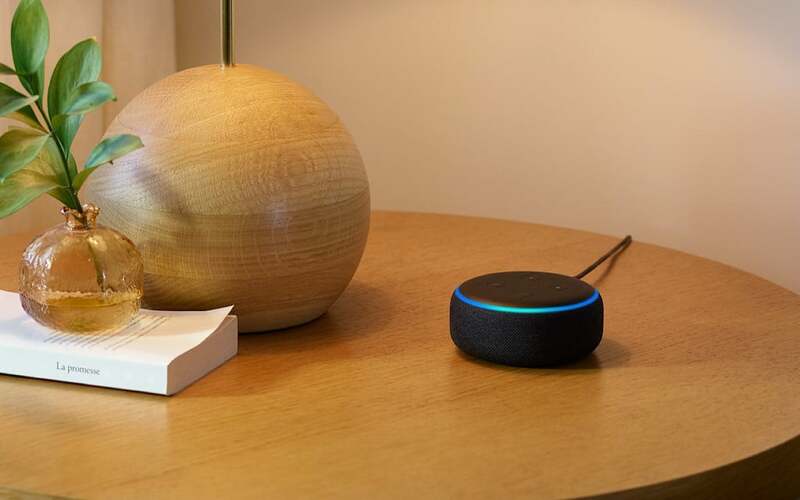 There are quite a few smart speakers in the world, and while that come in a range of options with a variety of features, your choice of which smart speaker you pick is generally based on what sound service you use. Do you use Google Play Music or YouTube? Google’s Home system will probably make more sense. And what about Amazon’s Music Unlimited? You won’t be surprised to learn that Amazon’s Alexa-enabled Echo speakers make the most sense here. Oh, and for the millions of you that use the most popular service of Spotify, you can use either Google or Amazon, as it supports both. Sonos goes a bit further and supports practically everything including Apple Music, but not with your voice. If you subscribe to Apple Music, a Sonos system will only let you control it with the app, not with its Alexa integration. Sonos is the only speaker system that natively supports Apple Music at the moment, but not if you want to control music by voice. In fact, the only system that allows direct voice playback of Apple Music is Apple’s HomePod. It’s a great speaker, but it also only talks to Apple Music, ignoring Spotify, Google, Amazon, and any other music service you can think of. So what do you do if you subscribe to Apple Music and want to join the smart speaker revolution without having to buy into a locked down (as of the time this was published) speaker? If you wait a couple of weeks, you might be able to grab yourself an Amazon Echo, as the Echo speakers are gaining support for Apple Music. According to Amazon, Apple Music will be available on Echo smart speakers from December 17, which means you’ll be able to talk to Alexa to control Apple Music playlists and songs on the Echo, Echo Dot, and Echo Show, as well as potentially anything else made by Amazon that carries the “Echo” name. “We are committed to offering great music providers to our customers and since launching the Music Skill API to developers just last month, we’ve expanded the music selection on Alexa to include even more top tier services,” said Amazon’s Dave Limp. “We’re thrilled to bring Apple Music – one of the most popular music services in the US – to Echo customers this holiday,” he said. Now this news comes out of Amazon US, and so we’re checking it with Amazon’s Australian counterparts to see if it holds true locally. Music service news doesn’t always line up for various reasons — international distribution agreements being one of the main ones — though given we already have Apple Music in this country, we suspect this feature should trickle down to Australians all the same. It’s really more likely just a matter of when. We’ll let you know when we know more, though, as this could open up some options for music around the home. UPDATE (December 4, 2019): This now seems unlikely, with Amazon telling Pickr that this will likely come to other countries next year. Read the response here.